Sphinx is a house, one house of a small community built on Pharoah's Island, is set on half an acre of land and accompanied by not a small amount of history. The Battle of the Nile was the climax of a three-month-long naval campaign that raged across the Mediterranean in the summer of 1798. Napoleon’s convoy of soldiers anchored off Alexandria and the army moved ashore; it was the first step in his planned attack against British India. The plan was foiled thanks to Nelson’s quick intervention, which split the French line and left the army trapped in Egypt. It was one of the key victories of the Napoleonic Wars – arguably even more important in naval terms even than Trafalgar – and placed the Royal Navy in the dominant position which it retained thereafter. Nelson, wounded in the fray, was proclaimed a hero across Europe and showered with rewards. 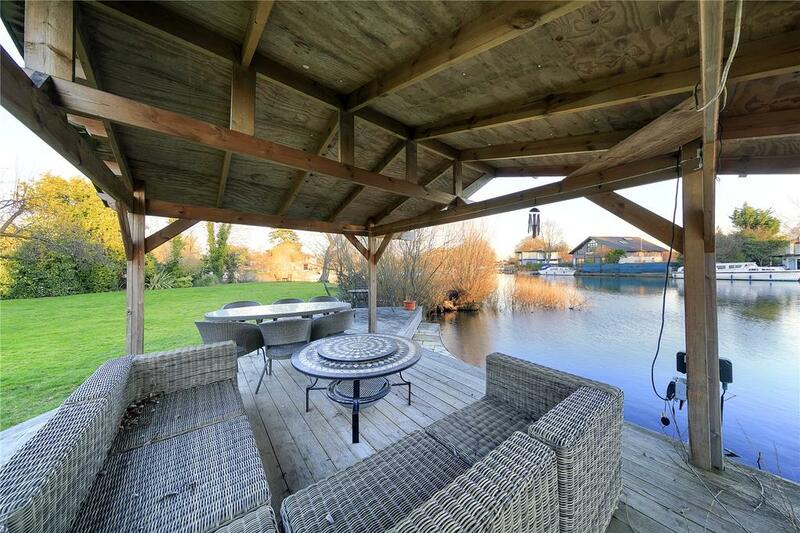 Among the gifts was the title ‘Baron of the Nile’ – and he was also awarded and an island in Shepperton. 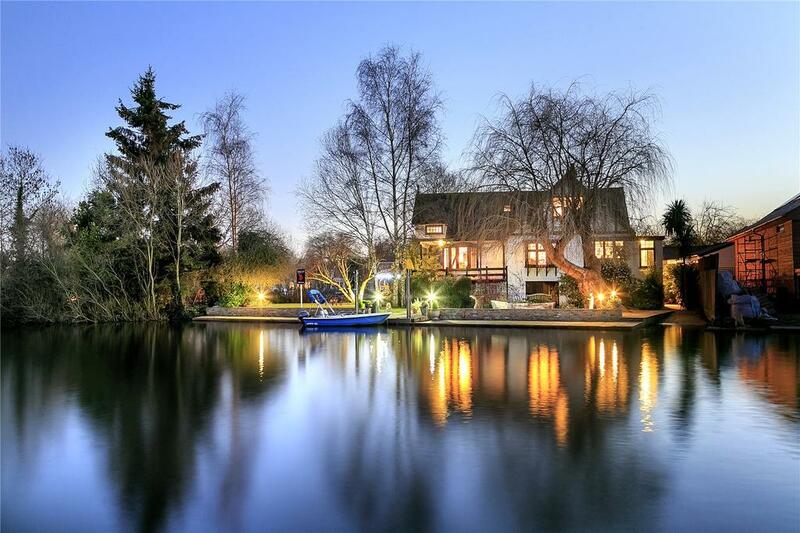 And this island – originally called Dog Ait, later renamed Pharaoh’s Island to commemorate the historic battle – is the location of the beautiful home featured on this page, currently for sale at £2.25 million. The house wasn’t built straight away. Indeed, with the French threat temporarily defused by the battle Nelson originally used his new island purely as a fishing retreat. It was in 1903, long after his death, that the island received its first house, built by Sir Cyril Atkinson and named Sphinx due to his interest in Egyptology. Unsurprisingly the 22 additional homes which now grace the island predominantly sport Egyptian names – among them Pyramid, Osiris and Luxor – and this coupled with the community only being accessible by boat places Sphinx in a whole separate realm of reality. 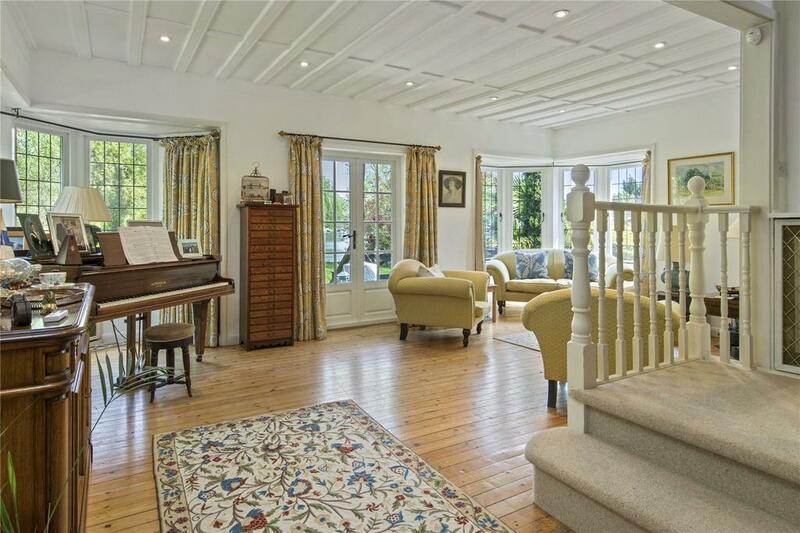 It is equally unsurprising that the property has attracted the attention of the film industry, firstly as the home of Ian Hendry and Janet Munro and then as the location of Hope and Glory in 1987 and Queen and Country in 2014. Now opening a new chapter of its rich history, Sphinx looks for new owners, on the market with Jackson-Stops and Knight Frank. 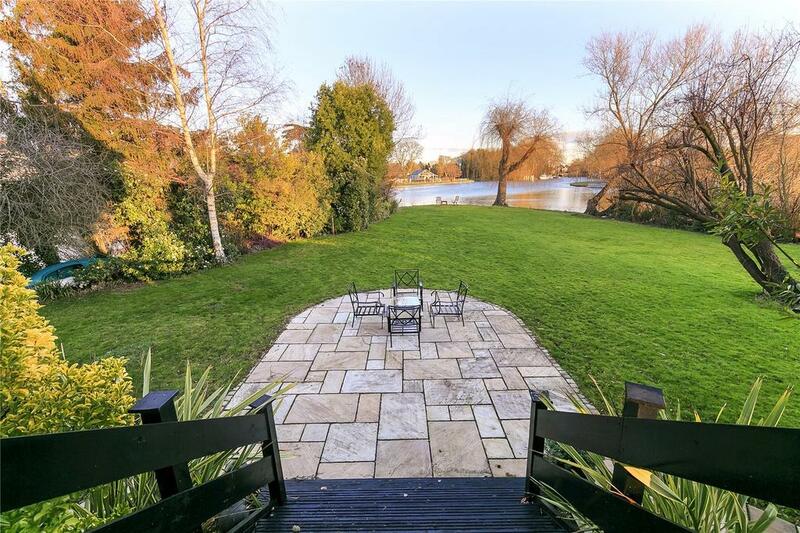 Occupying a large part of the island, Sphinx’s al fresco dining area looks out over a handsome swathe of lawn and the river beyond, complete with 90 ft of mooring. A guest annex fronts the heated pool on one side and an orchard on the other. 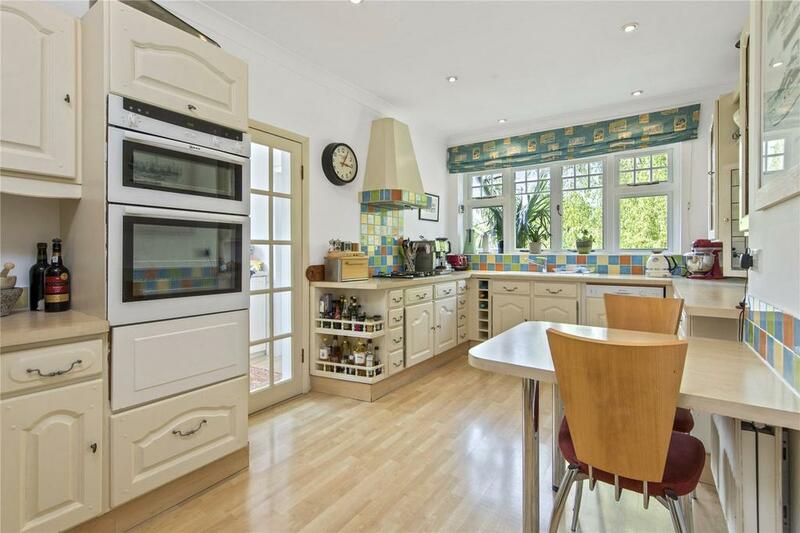 The house itself is finished to a fine standard, with high ceilings and sizeable rooms. 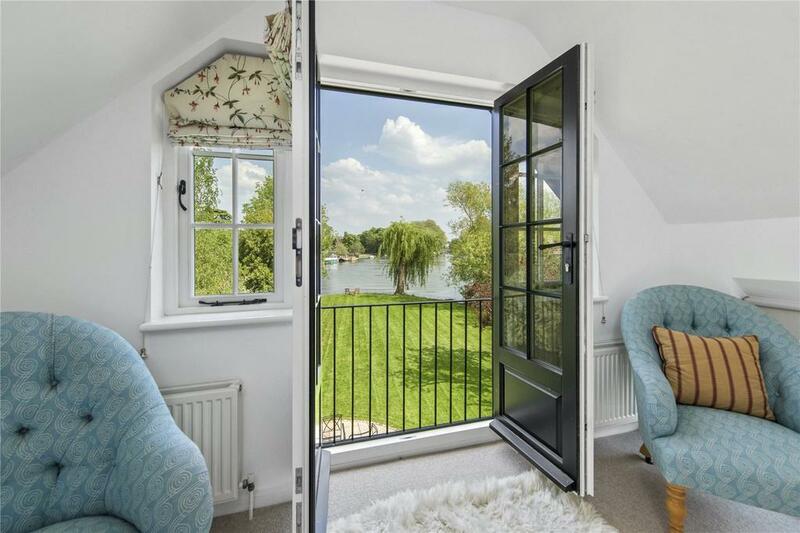 Large windows and balconies in the bedrooms make the most of the idyllic surroundings and a covered riverside patio extends the entertaining area right out to the water’s edge in summer. Whether the future owners be naval heroes, movie stars or something rather more mundane, they are sure to find peace and tranquility in this perfect slice of heaven. And should they find the need to return to reality from their waterside idyll, the outside world is only a sort boat ride away. Sphinx is currently on the market with Jackson-Stops and Knight Frank at a guide price of £2.25 million. Click here for more information and pictures.